The city of Hesperia is a fairly busy one, you would be surprised at the cases of slip and fall accidents that are registered every day at medical centers especially in winter. Despite the steady rise of this event across the country, most persons don’t know of their rights and the recommended line of action. 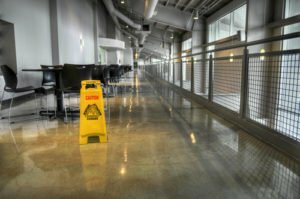 In a way of reducing the negligence of property owners which has been penned as one of the foremost reasons why these cases prevail and to gain some useful compensation for victims, you are advised to get proficient slip and fall accident attorney in Hesperia at the occurrence of such an accident. A legal representation that will guarantee that the site of the accident is thoroughly examined and that the case is dutifully evaluated so as to bring you the much-needed victory. Rawa Law Group is a 5-star law firm here in California with foremost experience in representing victims of slip and fall accidents and ensuring that they get the compensation that they are due. Through our over twenty years of active involvement in the legal sector, we have seen to the compensation of our clients to the tune of hundreds of millions. It is our pleasure to level your case favorably before a judge and the jury, and to provide you with highly insightful guidance and consultation sessions all free of charge. Kindly reach us below to have a free review of your case.